SALE-Sleepy Goddess Ritual Bath Soak / Relax Renew Your Spirit - New Formula! 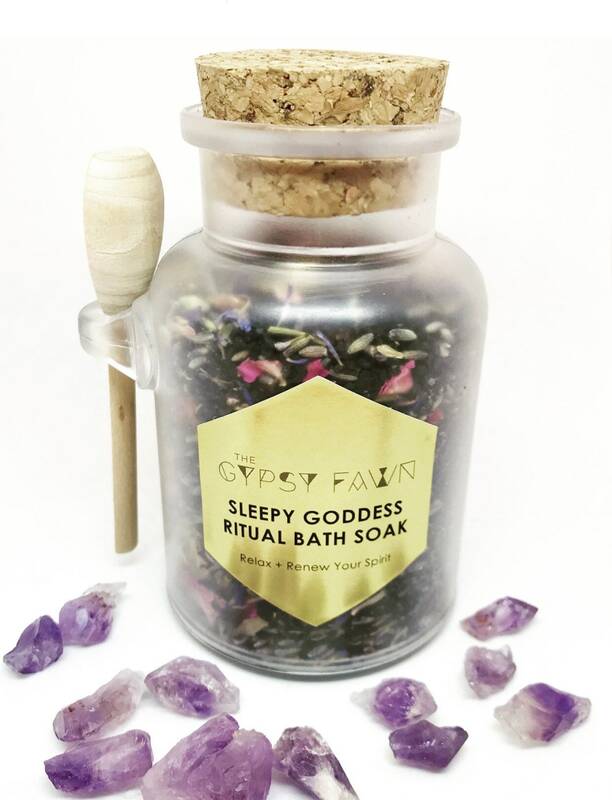 SALE-Sleepy Goddess Ritual Bath Soak / Relax + Renew Your Spirit - New Formula! 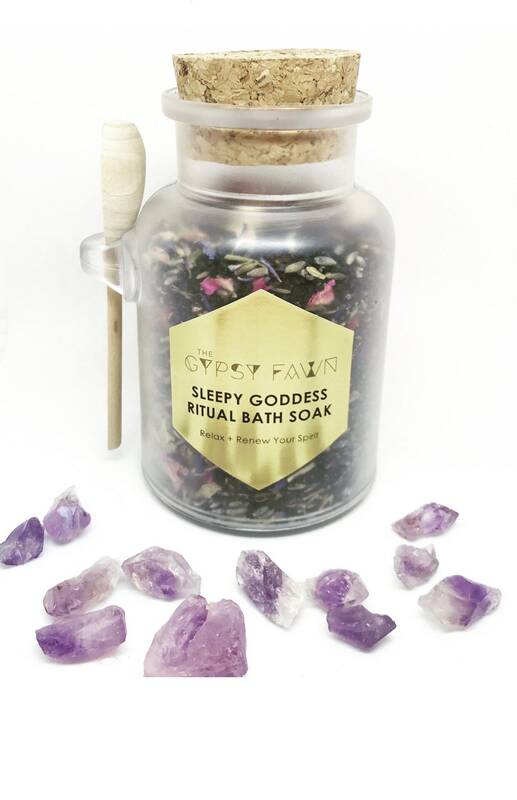 Soak away bad days with the specially formulated Sleepy Goddess Ritual Bath Soak by The Gypsy Fawn. This special blend of natural herbs, flowers, essential oils, and salts are mixed by hand in my studio on a Tennessee Farm under the Full Moon. When possible, some ingredients will come from my own herb garden. One Amethyst Crystal, Baking Soda, Black Lava Hawaiian Salt, Chamomile, Cornflower, Dendritic Salt, Eucalyptus Essential Oil, Jasmine, Lavender, Lavender Essential Oil, Lemongrass Essential Oil, Rose Petals, Full Moon Light, and a little bit of Magick. Amethyst helps with chakra balancing, physical ailments, and emotional healing. The magical blend comes in a 10 ounce jar with cork lid and wooden spoon for easy scooping. Spoon the blend directly into bath, or for easier clean up, spoon the blend into a muslin bag and let it soak. 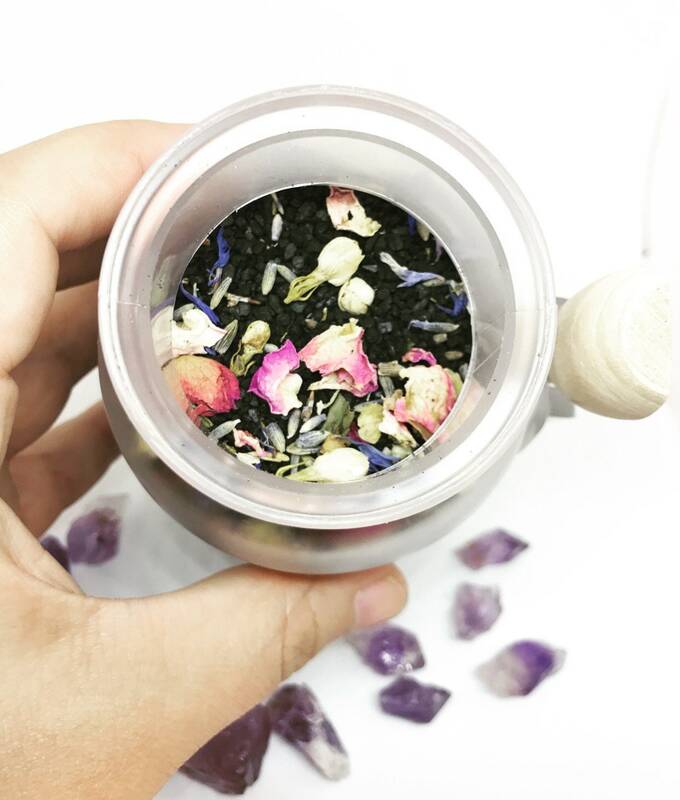 Enjoy the relaxing aroma of essential oils and dried flowers as you soak in this magickally charged blend. Each jar comes with one free muslin bag. Looking forward to trying this and gifting the others I bought!